Its Friday 08/02/2013 and I attended an event hosted by the District 6 Museum in support of the One Billion Rising campaign. This campaign is aimed at creating global awareness on violence against women and children and saying STOP, ENOUGH IS ENOUGH! I was excited to be part of this initiative as I am very passionate about abuse. The event on this day was an “intimate conversations” segment where actual testimonies of abuse were given by survivors. 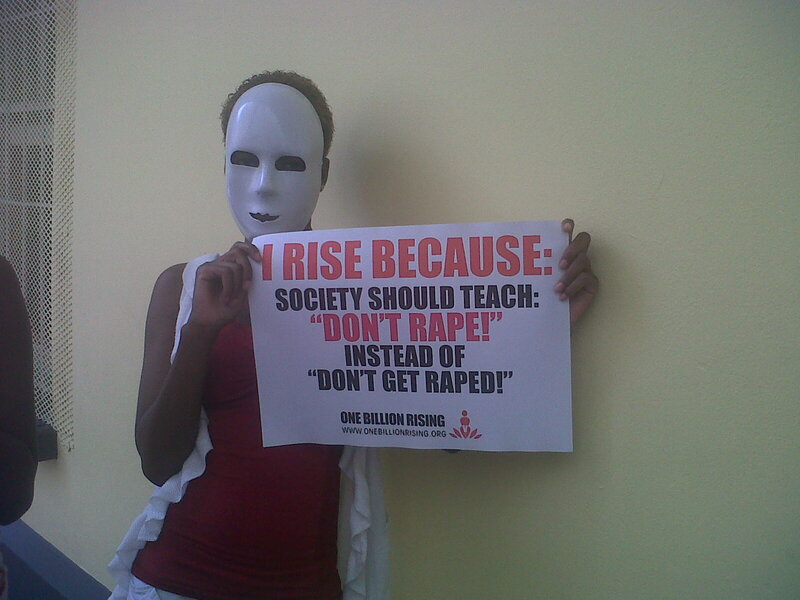 On 14/02/2013 our organization is also taking part in the “flash mob”dance against abuse… See image on the left in which i am wearing a mask…this symbolises the nameless victims of abuse and violence. Society is hurting, we cry for different reasons everyday. We think we are free but we are not free. We think we are safe but how safe are we? Today it is someone else but tomorrow it can be you, your daughter, your cousin, your sister…. Violence against women and children has got to stop. Once you experience pain at the hands of another human being you just feel like the world is unjust, you question God, you angry and can be angry for years. There are so many silent victims but this is our chance to say “We are victims” but no more powerlessness, no more suffering in silence. We Rise We are not broken women. We are just women. 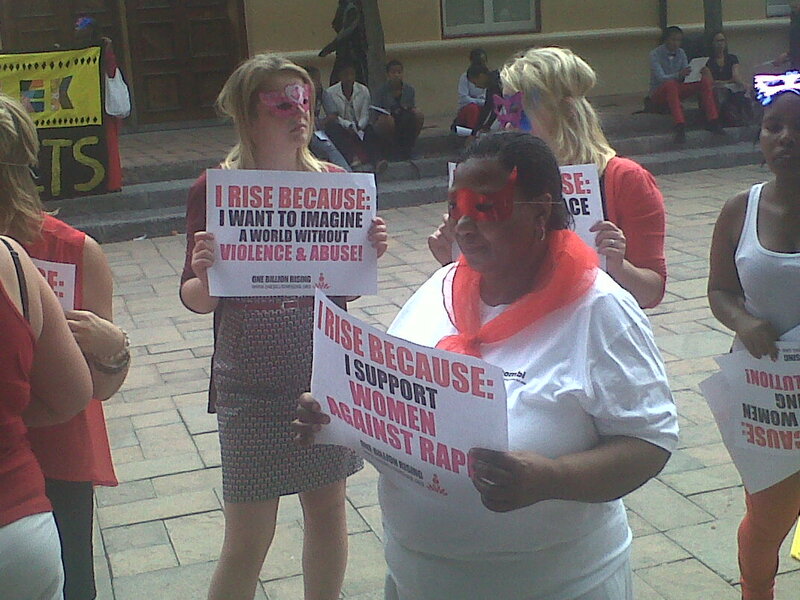 Rise against all forms of violence against women and children. Today I rise with the world and all women saying IT STOPS HERE!!!! It is not enough to educate women and empower them. Boys and men need to be taught how to respect women and girls. The patriarchal society that allows the archaic mentality of men domineering over women should be done away with. God is watching, he has not forgotten. Who do you think gives the strength to go on everyday ? Survivors God is our strength and we grow from strength to strength. WE RISE!!!!! !